Apple iPhone 6 complete replacement screen in black. 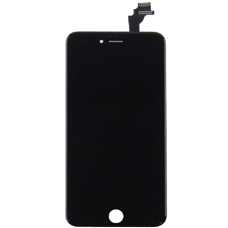 This black iPhone 6 screen comes complete with the LCD and touch screen, if you have broken your LCD or glass touch screen or both this is the correct black iPhone 6 part, this complete screen makes replacement of the display on your iPhone 6 simple and straight forward. Does this screen replacement part come with all of the associated hardware that is attached to my original screen. Such as home button, microphone, earpiece, camera or do these bits not come ready attached? The parts you specify are not included this is just the screen assembly, all you need to do is transfer all your parts over from the existing screen to the new screen.